Offering you a complete choice of products which include fristam pumps seal, idmc pumps seals and ptfe bellow seals. We are the supplier of wide range of Fristam Pumps Seal. These pumps have the main advantage of higher vacuum and require low quantity of water at low pressure. Manufactured using supreme quality, these pumps find their wide application in various industries. Our products are highly appreciated by clients. 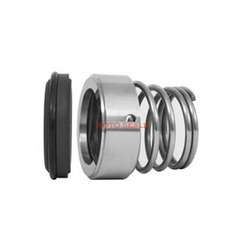 These seals mostly used in beverages & dairy applications. 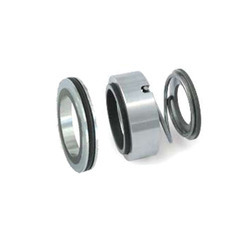 These are high quality replacement seals for IDMC Pumps Seals. They are made of stainless steel. We offer them in a variety of makes. They are robust and sturdy and can be used in a wide variety of applications. 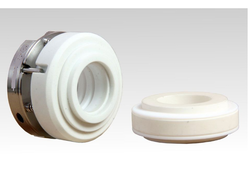 We are the engaged manufacturer and supplier of excellent range of PTFE Bellow Seals. Our products are highly appreciated by client because these are manufactured in compliance with the industry set parameters with the incorporation of latest technology and advanced machinery. Offered seals are globally regarded for their dimensional accuracy, seamless finish, optimum sealing and cost-effectiveness. Moreover, we provide these products at industry leading prices. Looking for Pumps Seal ?